There are so many ways to enjoy what Cape Town has to offer without spending a fortune. Here are 50 things to do in Cape Town for a mere R50 or less. 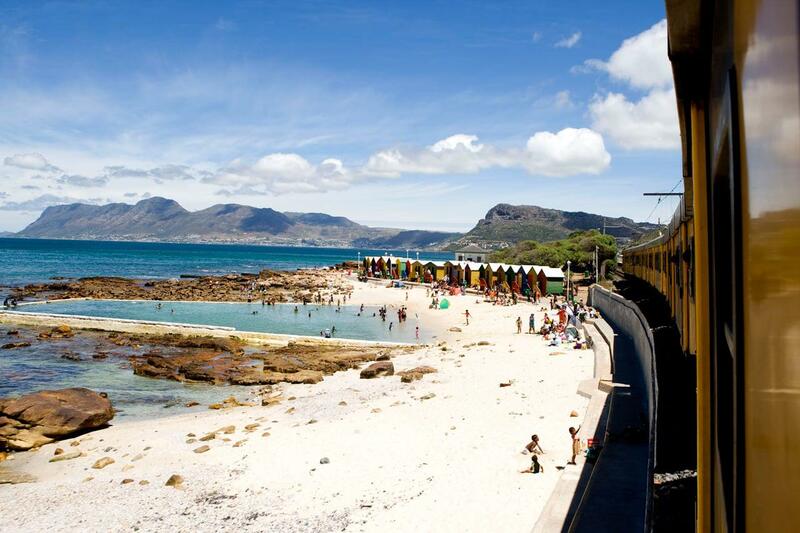 The Southern Line Rail Route stretches between Cape Town and Simon’s Town. Besides it being a great way of getting from A to B, it’s also a relaxing way of seeing Cape Town’s varied scenes. The part of the journey between Muizenberg and Simon’s Town winds along the edge of the ocean and the views are brilliant. Buy the hop-on, hop-off ticket and stop at Muizenberg for a surf; Kalky’s in Kalk Bay for some mouth-watering fish and chips; and Simonstown for a trip to Boulders Beach for a visit with the penguins (this visit to the penguins will cost extra). Rondevlei is an unexpected treasure situated within the Cape Town suburb of Grassy Park, about 20 min drive from the city centre. Home to some 256 species of indigenous plants, it spans 290 hectares and has a museum, a network of footpaths, viewing towers, and several bird hides. It is also home to – wait for it – Hippopotami as well as 20 other mammal species, including the Cape Grysbok Porcupine, Cape Clawless Otter and Large-Spotted Genet. And recently, a herd of Eland was released into the reserve. It makes for a really great family outing. Don’t forget to pack your picnic. The bright white Slangkoppunt (Snake Head Point) Lighthouse, situated on the coast in the South Peninsula, is the tallest cast iron lighthouse in South Africa. The internal spiral staircase you will climb during the guided tour takes you up 100 feet from the bottom to the balcony. If the idea of climbing up all those steps gets you a bit nervous, rest assured that the views from the top are entirely worth it. The tour will leave you with all sorts of interesting facts including the reason for South Africa being one of the few remaining places to retain actual Light House Keepers. Imhoff Farm in Kommetjie is the only place in Cape Town where you’ll have the unique opportunity of riding a camel. Kids love sitting some two metres up on the camel’s hump and sauntering around the courtyard. Longer rides through a nearby forest area are also possible, but cost a bit more (R200 per person.) Once the kids have finished their rides, pay a visit to the interesting gathering of shops inside Imhoff Village, The Imhoff Farm Shop has a delicious range of fresh free-range foods, and be sure to visit the Higgledy-Piggledy Farmyard. It’s hard to imagine tobogganing without snow, but Cool Runnings in Tygervalley offers exactly that. The stainless steel track has 17 s-bends, corners and a tunnel. Adrenaline junkies will love this experience, as you get to regulate your own speed and boy can things get speedy if you want! Sleds accommodate up to two people, so the little ones can go with Mum or Dad. It’s also a really popular venue for kiddies parties. We realise that paying R34 for a scoop of ice-cream sounds a little much, but it’s worth it! The Creamery is a local company and all the ice-cream is made with organic, locally sourced products. Some of the amazing flavours include sweet cream, toasted coconut, cookie dough, sea salt caramel and so much more! The Company’s Garden is situated right in the city centre of Cape Town. It was planted by the Dutch East India Company in 1652 to produce fresh fruit and vegetables for the ships that were sailing along the spice trade route between Europe and the East Indies, via Cape Town. Today it is home to the oldest cultivated pear tree in South Africa, said to have been planted in 1652; a rose garden built in 1929; an aviary with a variety of birds and many other interesting landmarks. It’s also well-known for the resident and perpetually hungry squirrels, so take along some peanuts to feed to them. What’s more the garden offers free wireless. Cost: Free – just grab a map and go! 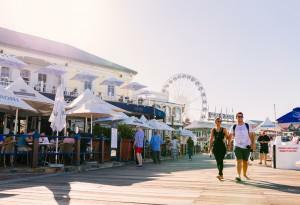 The V&A Waterfront, situated at the heart of Cape Town’s working harbour, has a rich and varied history that can be traced back as far as 1654. A great way to discover the stories of this iconic site’s past and its’ 22 landmarks is to do a self-guided historic walk. Simply grab a map at the Information Centre and off you go. And if you get hungry or thirsty along the way, there are plenty of food and drink places to choose from. A stop at The Creamery at the V&A Food Market for a scoop of their handmade peanut butter ice-cream is a must! The latest food craze in Cape Town? Dim sum! And one of the best selections that you can get is from Silk Road at the Earth Fair Market every Thursday in the CBD. For R50, you get a combo of various types of dim sum and it’s very filling! Silk Road can also be found at the Neighbourgoods Market in Woodstock on a Saturday and at other markets around the city. Did you know that almost half of the world’s gemstones can be found in South Africa? Did you know that you could scratch for these gems yourself right here in Cape Town? The Scratch Patch and Mineral World at both the V&A Waterfront and in Simonstown is a cool way to dig for your own beautiful gems. You get to emerge yourself in all the stones that quite literally cover the floor, then visit the gem exhibitions and shops afterwards. This Wale Street-based coffee and chocolate shop is where you can get handmade chocolate made from raw ingredients and organic Ecudorian cacao with no preservatives or artificial flavouring. It’s also dairy free. You can grab a good cup of coffee with a delectable slice of cake (gluten-free also available) or purchase some of the delicious chocolate products. Try the banana bread bunny chow – a banana bread mini loaf filled with macadamia chocolate spread and ice cream for R48. Click here for more information. This weekly event starts at Queens Beach Parking lot (the last parking lot along the Promenade before you get to Bantry Bay) at 6pm every Monday night and is a fun way to explore the Sea Point Promenade. You will need something that skates – skateboard, longboard, rollerblades, roller-skates or even a BMX – in order to get the most out of this. The event was created in celebration of the lifting of the ban on skateboarding and rollerblading along this area. Click here for more information. Aside from having great stalls where you can buy locally made and crafted gifts and curios, the Bay Harbour Market has live music that you can enjoy for free. Local artists entertain the crowd and keep the vibe going all day and into the evening. It’s open on Fridays from 5pm to 9pm, Saturdays from 9:30am to 4pm and on Sundays from 9:30am to 4pm. In Cape Town, we make the most of the full moon. The Muizenberg Moonlight Meander happens at 6pm on the Saturday closest to the full moon and brings together family, friends and loved ones for a leisurely stroll along the beach by moonlight. The walk starts in front of Knead bakery. On the first Thursday of every month, arts and culture in Cape Town has a late night, with dozens of art galleries and cultural events showcasing the wealth of talent that the Mother City has on offer. The event is completely free, with no structured tour, and no schedule to follow, you are free to absorb it all at your own leisure. To ensure your First Thursday can be catered to your own specific preferences, organisers provide a map and highlights of what is on show. From there it is all up to you. City Walk Saturdays event happens once a month starts in the Company’s Gardens, continues down St George’s Mall to Waterkant Street and progresses up the Fan Walk to St Andrew’s Square. It connects significant places in the urban heart of Cape Town through storytelling, public art, walking tours and retail offerings.Expect a wide variety of fun things to do and participate in. This includes free walking tour, photo exhibitions, an Instawalk, an outdoor library with book readings for kids, a jumping castle, face painting and SO much more! Everyone enjoys a game of putt-putt. At the Waterfront you can enjoy this activity in a cave-like setting! It’s fun for the whole family and it’s right next door to the Scratch Patch. A unique space in the middle of an urban environment, the Green Point Urban Park is a fantastic, family-friendly place for a picnic, walk, run or for simply lazing around. There is an outdoor gym, a play park, adventure park and outdoor labyrinth. There are different plant species within the area as well as information about them. Access to the park is via Bill Peters drive, Bay Road or Helen Suzman Boulevard. Silvermine Nature Reserve is within the gorgeous Table Mountain National Park and offers a variety of things to do. There are braai spots (only in winter), picnic areas and hiking trails that end in stunning views. Just 20 minutes’ drive away from the city centre, the reserve is an important conservation area for indigenous fynbos plants. It’s also a popular spot for bird-watching and mountain biking as well as having a number of sandstone cave systems and rock climbing routes that connect all the way to Muizenberg. You can access Silvermine from Ou Kaapse Weg drive. One of the oldest wine producing farms in the Cape, Groot Constantia is steeped in history. This farm boasts fine examples of Dutch architecture and has been producing wine on the estate without interruption since 1685 when Commander Simon van der Stel of the Dutch East Company (VOC) was originally granted the land on which Groot Constantia stands. You can amble around the leafy grounds, do some trail running or take in some wine tasting. There’s an Iziko Museum on site and if you get hungry, the farm has two restaurants to choose from. The beautiful Helderberg Nature Reserve is located in Somerset West and stretches as far as the cliff faces of the Helderberg Mountain. There is so much to do and enjoy here. There s a plant herbarium, Guinea Gift Shop, an environmental education centre, a picnic area, children’s play area and jungle gym, as well as bird watching, hiking trails and walking trails. Keep your eye on their Facebook page for information on amazing guided hikes. A National Heritage site, the Newlands Brewery dates back to the early 1800s and has so much history to offer visitors. You can take this all in as well as learn about how the Newlands Brewery makes its eight famous beers on a fun tour of the establishment. The tour includes a beer tasting and two complimentary drinks. This cruise takes place in the picturesque sea-side town of Simon’s Town. It takes you around Simon’s Town Bay to take in the historic sites of the area as well as the breath-taking views. The River Club Golf and Conference Centre is the perfect combination of leisure and business. Recently acquired by the innovative team who brought you The Old Biscuit Mill, The Woodstock Exchange and the Daddy Hotels, The River Club has had an exciting make-over. It’s the perfect place to practise your golfing swing. There are also restaurants on site should you get a bit nibbly or feel the need for a cool-down drink. Here you get a selection of eight wines to taste as well as a souvenir crystal glass. The tasting lasts one hour and can be enjoyed in the tasting room or outside if the weather is clear. You can enjoy great views of Table Mountain on a clear day. Children are naturally inquisitive, so a trip to the Science Centre will prove very enlightening for them. There are interactive displays, a fun building site where kids can build houses, puzzles to solve, insights into gravity, brainwaves and so much more! This one is for children only, but parents need to supervise, of course. Cape Town’s first outdoor synthetic ice rink is situated at the Rotary Blue Train Park in Moulle Point. Kids can enjoy the fun of ice skating on a sunny day in Cape Town and take in views of the mountain and the sea. If you like good coffee served in a gritty and industrialised environment then Truth Coffee is the ideal Cape Town coffee shop for you. Walking into Truth Coffee feels like you’re walking into a Victorian futuristic fantasy: steam punk lovers will be in awe of the well thought of décor. More important than the interior though is the incredible coffee: strong, hot and full of flavour. Learn more about the city, its history, interesting facts and take in the beautiful sights with Cape Town Free Walking Tours. There are various different tours on offer – a historic tour, a street art tour, a Bo-Kaap tour, a promenade bicycle tour, a District Six tour and a Taste of Cape Town tour. Each one offers a unique perspective on Cape Town and what this amazing city has to offer. Need to find a peaceful space inside yourself? Up for some meditation? Then try the meditation classes at the Tushita Buddist Centre in Rondebosch to get a practical overview of meditation. 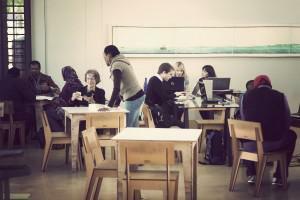 You can attend a drop-in class to give it a try. The Warrior Toy Museum in Simon’s Town is lined with dinky toys, dolls, Maccano, model cars, boats, trains, aeroplanes and other miscellaneous toys that all make up a collection of thousands. This is a must-see for all toy-lovers. Blue Rock in Somerset West is a great spot for a day out with the family. Your entry fee gets you access to the amazing picnic spots, swimming in the lagoon and the rock jumping facilities. Pack your picnic basket or you can buy food from the restaurant on site. If you are the adventurous type, you can rent some of the sporting equipment or do some cable skiing or participate in a paintball game at an extra cost. The cost for December and January goes up slightly to R55. The Foreign Exchange Bar in Observatory is a place where locals and internationals hang out for drinks and lots of fun times. There is everything from beer pong nights to salsa classes. The famed happy hour runs from 17h00 to 19h00 (happy two hours) where you can pick up a refreshing drink from as little as R25. There are some magnificent free hiking spots in and around Cape Town. Lion’s Head is one of the more popular ones and, although it can get slightly strenuous, it rewards you with an amazing view at the top. You can also do this in the light of the full moon (head torch is still advisable). Platteklip Gorge takes you to the top of Table Mountain and you can either head left towards Kirstenbosch or right to the Cable Station. Newlands Forest is leafy and most of the way is shaded by the trees. This is a shorter hike and there’s a pretty stream along the way if you want to cool down. The hike to Elephants Eye is accessed via Silvermine and will cost an entry fee (but still under R50) and you will be able to take in the amazing False Bay views. Always follow mountain safety rules. Great for beginners and group rides, the tracks at Meerendal are flat and easy to navigate. You start with a bit of an uphill, but then it takes you to the first stretch of single track and onto a zig-zagging uphill that can prove tough on novices. There are spectacular views to take in along the way. There are so many places to do trail runs in Cape Town that it’s tough to list them all. You can run the hiking trails we mentioned before as well as try the 5,3 km Devil’s Peak route where you start at the top of Devil’s Peak Estate and run the gravel paths to Rhodes Memorial. Also try the Silvermine routes and Constantia Nek ones (some fees apply). Trail running is excellent for fitness and endurance. Cecil John Rhodes is well-known world-wide and was a South African politician and mining magnate in Southern Africa in the late-1800s. At some point, he contributed to shaping both South Africa and Zimbabwe’s political landscape. Once his residence, you can visit the cottage in Muizenberg that is now a museum. This freshwater wetland is located on the floodplain of the Diep River and has extensive reed beds, a tidal lagoon and flourishing flora and fauna. You can find a wide variety of birds here at any time with over 10 000 individual birds having been counted during the water bird censuses. The Friends of Rietvlei organisation often host holiday programs such as fishing and other activities that start at around R5. There are various walking trails and places for wet water sports enthusiasts to enjoy themselves – as well as braai spots. Click here for more information. Stella Cafe & Bar at the Southern Sun Cullinan Hotel is a great spot to wine (see what we did there?) down after a long day at the office. The #StellaSessions happen every Friday at 16h00 where you can enjoy your drink along with some live entertainment. 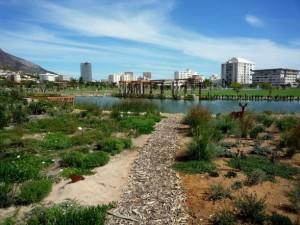 SANCCOB is a non-profit organisation that aims to preserve and conserve seabirds and other sea life. SANCCOB allows visitors in for a behind-the-scenes tour of the facility where you can get a look at how a seabird hospital works and see how the penguins are treated and fed. If you love what you see and want to get involved, there are various ways to give back to them too. 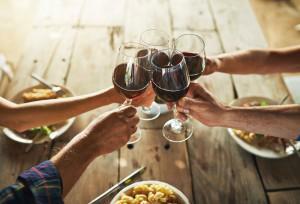 We have amazing wines in Cape Town and Durbanville has a fantastic wine route. Why not drive along the route and choose one of the lovely local farms for a wine tasting and some pairing? There are so many to choose from that you may have to go back a few times to experience all of it! The Shimansky Diamond Experience at the V&A Waterfront not only houses millions of Rand worth of diamonds, but also allows you to delve deeper into the history of the precious gem.It includes history on the diamond rush in SA, featuring well-known figures such as Barney Barnato and Cecil John Rhodes and lesser-known like the 15-year-old Erasmus Jacobs who unknowingly would begin the story of diamonds in the country in 1867, as well as the history of some of the more famous ‘rocks’ uncovered in the country’s soil, including the Cullinan Diamond, which was sliced and diced and scattered abroad. Participate in a traditional Ethiopian Coffee Ceremony at Addis in Cape. The experience gives you a glimpse into Ethiopian tradition and feels authentic amongst the traditional Ethiopian furnishings. The Labia Theatre entices people with its old movie theatre charm. It was originally an Italian embassy ballroom and is widely recognised as the oldest independent art-repertory cinema in South Africa. The theatre screens art movies and hosts various interesting film festivals throughout the year. Go here for great movies that you won’t find in the mainstream movie houses. Nestled between Llandudno and Camp’s Bay, you’ll find cosy coves and blissful white beaches peeking from between the huge boulders. Oudekraal has over 40 braai areas, although most don’t have grids, so be sure to bring your own with you! Get there early, as Oudekraal is immensely popular. Call 021 438 9555 for more information. There are many Iziko Museums in Cape Town and all offer insight into South Africa’s natural and cultural history. The exhibits range from 700-million-year-old fossils to insects and fish, dinosaurs and wildlife menageries as well as everything space-related at the Planetarium. There are also stone tools dating from 120 000 years ago, traditional clothes from the last century and authentic beadwork. There are many public pools around the city. The Sea Point Pavillion is a popular spot and is situated right next to the ocean. So you get a great view along with a fun swim. The cost to enter is R21 for adults and R10.50 for children. In Gugulethu you will find Vulindlela Swimming Pool. There’s a main pool and a kiddies one. Entry is R6 for adults and R1 for children. Newlands baths is a popular family public pool with great grassy areas to relax on. The charge is R21 for adults and R10.50 for children. Trafalgar swimming pool is situated in Woodstock and has plently of green areas for you to relax on in between dips in the pool. The entry fee is R6 for adults and R1.50 for children.